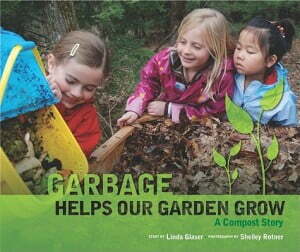 Illustrated with vibrant photographs, this story explains how food and garden scraps break down into compost. Follow along as a family composts their table scraps (even their old Jack-o-lantern!) in the backyard bin, eventually using the resulting compost to enrich the soil for the spring garden.